Please pray that the Lord would deliver his people from evil men; That the Lord would preserve his people from violent men, who plan evil things in their heart and stir up wars continually. Please pray and intercede without ceasing that God’s will be done in the lives of the world’s leaders and for our leaders to seek God and listen to Him. Pray that they would be surrounded by godly counsel and, that our leadership would personally know God and the salvation found through faith in Jesus Christ alone. That we may live peaceful and quiet lives in all godliness and holiness. God can turn the hearts of kings. Earnestly pray that the people of America and it’s leaders will humble themselves and seek the Lords face and turn from their wicked ways. Pray that the Lord would hear from heaven and forgive our countries sins and heal our land. 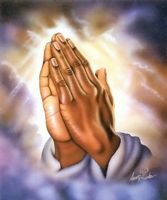 God Bless America Pray that the Lord would grant peace in America, that we may lie down and no one will make us afraid. That the Lord would remove wild beasts from the land, and that the sword will not pass through our country and that President Trump along with our leaders be filled with power, with the Spirit of the Lord, and with justice and might to declare the sins of Gods people. Please pray that the Lord would pour out his spirit on his servants, throughout the world both men and women. In Jesus Name Amen.